Declare your own spring break. No reason the kids should have all the fun. March calls for a little mental health break for everyone, regardless of age. And without having to leave the city—or even the neighborhood, if you’re lucky enough to live in Stepping Stone,—you can always count on family-pleasing events right here in your own backyard. Look forward to your own spring fling by adding one or two of these activities to your calendar this month. 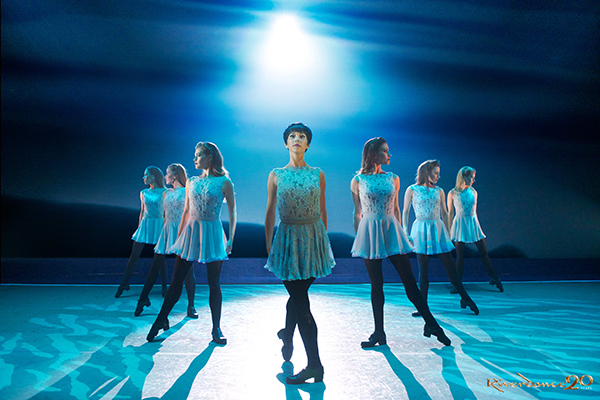 Celebrating two decades of internationally acclaimed performances, Riverdance returns to Denver’s Buell Theater from its sold-out run across Europe and Asia. Creating an unforgettable mix of traditional and modern Irish dance, music, and song, these talented performers will entertain the whole family with abundant energy and spectacle. Tickets range from $30-$105. Learn more. Woo-hoo! It’s time for the grownups to play. Your night out will be all the sweeter knowing that your kids are staying active and entertained. At the Parker Fieldhouse, talented staff members will offer plenty of games and activities, crafts, climbing, and skating (must bring own skates) to keep your kids busy. For those who need a little downtime, family-friendly films will be shown in the activity rooms. $15 per child; $10 per sibling; additional $5 for day-of registration. Concessions available for purchase. Learn more. It’s not every day when you can challenge a robot to a game of 21. Or cheer on ‘bots playing a match of competitive soccer. 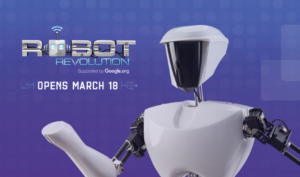 At this special exhibit, you can interact with a globally sourced collection of cutting-edge robots rarely shown to the public—ranging from therapeutic baby seal robots to all-terrain crawlers and impressive humanoids. Supported by Google.org and The Boeing Company, Robot Revolution demonstrates how these amazing machines affect how we live, work, and play. General admission is $14.95 for adults, $11.95 for seniors, and $9.95 for kids over 3. Beer has a way of bringing people together. And Collaboration Fest brings lots of beer together—as in 149 breweries sharing samples of their unique libations at the club level of Sports Authority at Mile High. Food will be available for purchase, or you can opt for a Fanatic ticket, which grants early access, a food voucher, and a gift bag full of surprises. More activities and perks to be announced. Tickets from $50-80. Learn more. Come rain, snow, or shine, the Easter Bunny is coming to Winding Path Park. And he’s bringing lots of treat-filled eggs for your kids to hunt. 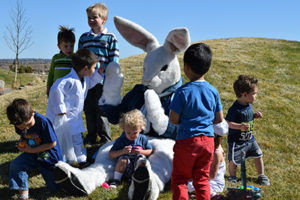 This annual event is divided into two times for equal egg gathering opportunities: Younger children (up to age 6) will go from 10-10:30am, and kids aged 7 and older are welcome from 10:45-11:15am or so. 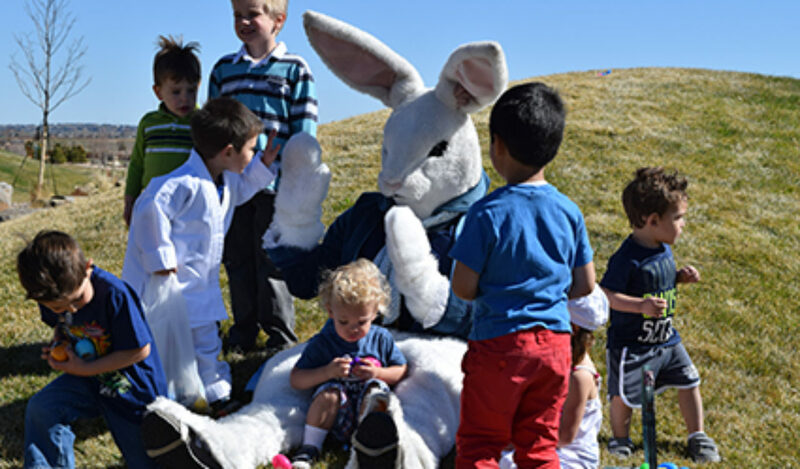 Meet at the picnic pavilion and bring your baskets and a camera for making memories with the Bunny. 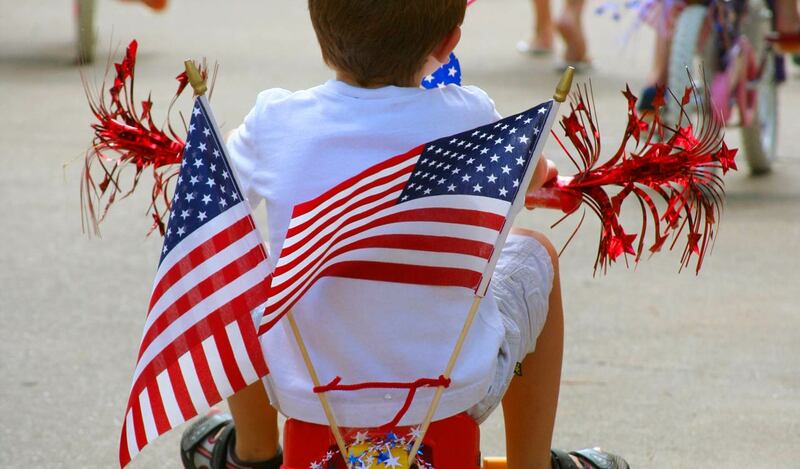 RSVP by March 21 with number of kids and ages at kimberly.aiken@advancehoa.com. See photos from last year’s Eggstravaganza here.